At our dealership we find that consumers are not only looking for a car loan.. they are looking for a second chance. Many consumers are unaware of the positive impact an installment loan, like a car loan can have on their credit rating. How Can An Auto Loan Help My Credit? Lenders, like ours report to credit bureaus. Paying installment loans on time is one of the best ways to improve your score. Installment loans which are typically mortgage or auto loans have fixed payments that are commonly reported to bureaus each month. They are generally for an extended period of time. Reporting payments each month for an extended period of time can have a tremendous effect on your score. Installment loans are very different from credit cards or “revolving” type debt. They are typically secured by collateral, in this case a vehicle, and bureaus consider these types of loans less of a risk. They are usually for larger amounts. This will have a positive effect on your "credit utilization", which is an important part of your score. Having a large amount of credit extended to you similar to the amounts extended in an auto loan make lenders and bureaus assume you are worthy of credit. Credit types make up ten percent of your score. Having varying types of credit (installment, retail, revolving and open) helps your score. 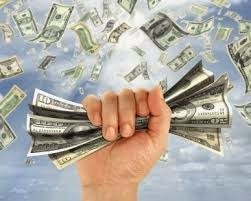 Paying installment loans on time and in full can be one of the best ways to improve your score. We are experts in bad credit car loans and are ready to help get you back on track. With our online credit applications, you can get an approval in minutes and be on your way to getting into your new car. 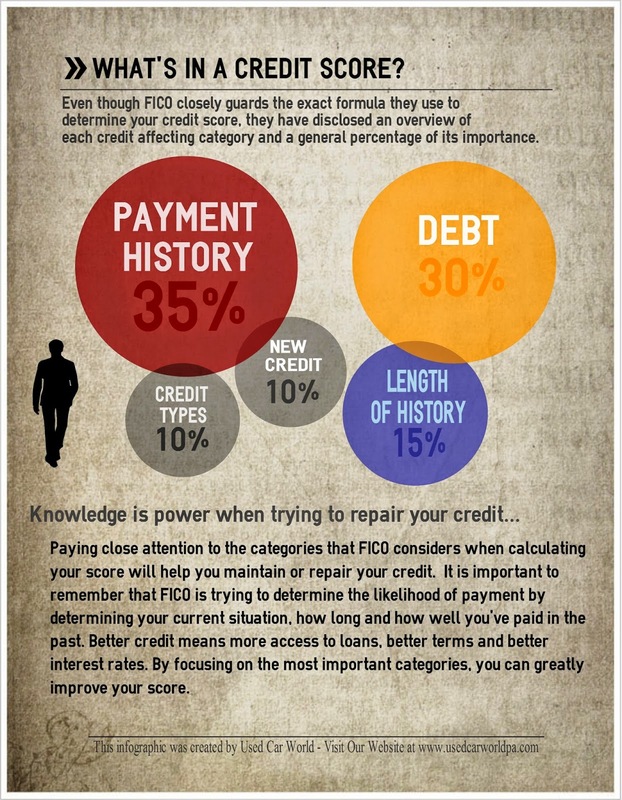 Fico recently introduced big changes to the way the credit agency calculates scores. Consumer advocates had been petitioning the agency for some time to implement rule changes, specifically pertaining to medical bills. Medical costs are mostly out of a consumer’s control and consumers reported being unaware that the account even existed or believed it was paid by their insurance. What’s worse is that experts don’t believe that lack of payment on medical bills is any indication of a consumer’s likelihood to pay, which is supposed to be the score's intent. According to the Consumer Finance Production Bureau’s report “Medical Debt and Credit Scores” released in May 2014, concluded that consumers with medical accounts in collection that had more paid than non-paid medical accounts were just as likely to pay a regular account as well as a consumer with a score that was 20 points higher. The predictive analytics software that Fico uses will now have the ability to distinguish between medical and non-medical collection accounts and adjust scores accordingly. Using the new system, a consumer whose negative collection accounts are purely medical could see their score jump 25 points. 25 points can mean the difference between an approval and denial for mortgages, auto loans and credit cards and offer consumer access to better interest rates over all. FICO Score 9 will also allow better scoring for “thin files” or consumers with limited credit history. Where the previous system allowed for scoring based off of a “pay” or “non-pay” or “yes” or “no” system, Score 9 will use a more nuanced calculation that can determine the likelihood of repayment even with a limited payment history. FICO Score 9 will also unburden lower scores that are a result of paid off collections or settlements. Prior to the changes, paid off or settled account remained on your credit report for 7 years after paying or settling. Under the new model, paid and settled accounts will be removed after confirmation of payment. Out of 107 million consumers with a collection account on their report, almost 10 million had a zero balance. Medical Collections: Medical collections will be weighted separately from regular collection account and no longer affect scoring as heavily as other types of collection accounts. Paid or Settled Accounts: Paid or settled account will no longer be considered when calculating your score. The affect the new score calculation will have on consumers is expected to be far reaching. The median increase for consumers whose only negative credit items are medical is 25 points, and millions of Americans are expected to be affected by the changes. What is a Sub-Prime Borrower? According to Experian's State of the Automotive Finance Market Report for the first quarter of 2014, scores are divided into five categories of ranges. 740 and up puts your score in the "Super Prime" category. 730-680 is "Prime" and 679-620 is "Non-Prime". That leaves all other consumers in the "Sub-Prime" category with 550 and under being described as "Deep Sub-Prime". According to their Open Loans by Risk report, over 21 percent of all open loans are below prime, with deep sub-prime lending being the highest growing category of open loans. The average credit score of an auto financing customer dropped 10 points from the first quarter of 2013 from 731 to 721. In summary, more lenders are willing to take chances with sub-prime borrowers as more and more consumers are falling into that category. According to Credit-Report-101, the national average FICO credit score as of 2014 in the US is 639, which would place the average national consumer in the "Non-Prime" category. That's it. The only piece of information used to determine your lending category is your score. Your score represents the amount of risk a lender assumes by loaning you money or goods. More and more sub-prime borrowers are being approved for auto loans. Reports suggest that sub-prime lending has been the single highest growth category in lending. 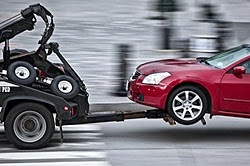 Experian reports that over 45% of all auto loans went to sub-prime borrowers. Less stringent auto credit means that you may be approved for an auto loan that you would have been denied for a year ago. Sub-prime auto lenders don't worry market watchers as much as mortgage lenders because auto loans are less risky in general when compared to sub-prime mortgage lending. Car loan payments are smaller and more manageable, even for those less likely to pay. The loans are scheduled to be re-payed over a much shorter period of time. The value of the collateral is less susceptible to change and is much easier to repossess and re-sell in event of default. Buyers are much more likely to keep from having their transportation to work from being repossessed. Where does this leave you? That depends. It's looking to continue to be a buyer's market. With more consumers being affected by low credit scores, lenders are opening up lending to those who would have not been able to get a car loan in the past. Buyers with better credit are dwindling and more in demand, resulting in competitive interest rates for those upper category borrowers. If you find that you fall into the sub-prime category and are looking to finance a vehicle, your local dealer is the first place to start. While you will likely be denied financing by credit unions or private lenders, a dealership that specializes in bad credit auto loans or Buy Here Pay Here will be able to finance you with a down payment and few items of income and residency verification. At Used Car World we work primarily with consumers struggling with credit challenges. We offer all kinds of borrowers access to quality, affordable vehicles. We offer guaranteed approvals. Apply online and get an answer in minutes! Nearly 70% of consumers purchase their vehicle with financing. Next to a mortgage or rent, auto installments make up the second largest portion of a person’s budget. When your car payment is such a significant part of your budget each month, paying off early can seem impossible but it doesn't have to be. Here are some (hopefully painless) ideas on how to pay off your loan early. We hear from customers all the time who get their loan with the intention of paying off early. By having a lower payment amount, customers have the flexibility to pay their loan down early but still have the ability to pay the lower amount when the extra cash is needed elsewhere. Here are a few ideas on how to pay off your loan early. Take an auto loan for $10,000.00 for 60 months at 12% interest for example. The monthly payment would be $222.44 per month. By simply rounding up the payment to $250.00 and paying an additional $27.56 each month, you can shorten your loan by 8 months and save $519.00. Setting up an auto payment through your bank can help with sticking to it, and even take some of the sting away from writing the check each month. Many consumers find it easier to have the money drafted from their bank, and banks are now offering discounts and benefits for consumers who agree to set up some form of auto payment. This may not seem like it will have an effect, but think about it. There are 12 months in the year, and 52 weeks. If you make half the monthly payment every two weeks on that same $10,000 loan, you will actually make 13 full payments or one extra payment per year. Over the course of the loan you will not only save $438.32 in interest, but you will also drop almost 7 full payments off the loan. By making a one time, lump sum payment at the end of the loan, you can cut 12 months off your loan and save over $1,000 in interest. Find a time during the year where you will have extra money. Hello tax season! Making a single extra payment each year will save you over $400.00 in interest and have you paid off in 53 instead of 60 months. Everyone should have a change jar. On average families that have a change jar can accumulate over $500.00 per year in change. Putting just one year’s worth of change toward your loan will save you $394.00 in interest and 4 months of payments. Any additional money you can pay towards your loan will save you money. Trying to come up with extra money in an already tight budget can be difficult but if you can try to find ways of squeaking out a couple extra bucks here and there and putting it toward your loan you can end up saving a significant amount of money. If you can find a way, the benefits are great. If you have your own method and want to see how much you can save, Bankrate has a great early payoff calculator you can use. We can help you figure out the best loan for you! Our salesmen have been financing vehicles for all credit types for over twenty years and we will find you an auto loan to best fit your situation. Visit our website and fill out an online credit application. One of our salesmen will call you. We have a huge inventory of vehicles and can get anyone approved!